Do you know? If they’re from the grocery store, they’re probably from what are known as “battery cage hens”. That means those hens are kept individually in cages the size of a sheet of printer paper THEIR WHOLE LIVES. They don’t get to scratch, peck, dust bathe, eat bugs, eat grass, stretch out in a warm patch of sunshine to nap, or any of the other chicken behaviors that keep them happy and healthy. Our hens free range. The coop doors are opened wide almost everyday with the only exception being when I’ll be gone all day and not here to protect them from stray dogs, coyotes, or chicken hawks, and even then, our chickens have a 70′ long x 12′ wide fenced run attached to the coop so they can still always get fresh air, sunshine, and dust baths on those days. 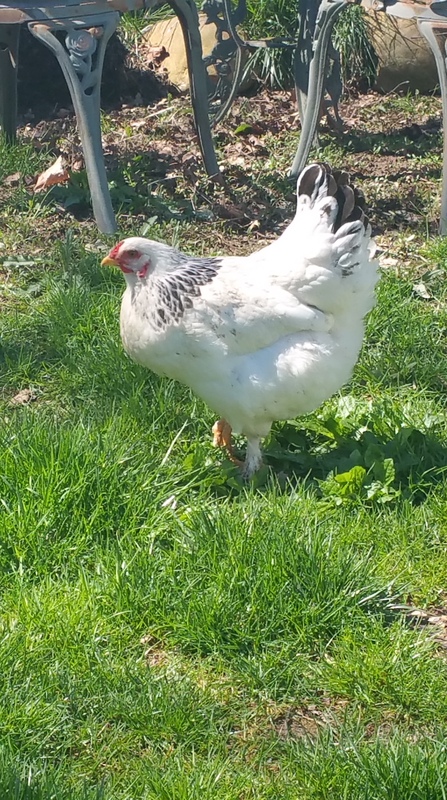 Our hens run around outside for about ten hours a day, and the coop is open for them during that time to lay their eggs in clean fluffy nest boxes and have some shade and hide from the hawk if he makes an appearance overhead. They go back inside when they want in the evening, and one of us shuts the doors and locks the coop for the night around dark. They are happy, healthy hens, and their eggs show it. The shells are thick and hard, and the yolks are firm and dark orange (think of a reddish orange crayon color). I have to believe that healthy, happy animals = healthier food which translates to a healthier person when eating that food. I highly encourage everyone I know to get a small flock of hens for eggs. They require minimal care and will not cost you much after the upfront coop and fencing costs. A family of four eating a dozen eggs a week can easily get that dozen eggs from a flock of four hens in the backyard. If you can’t have your own or don’t want to raise and care for them, then the next best thing is to find someone with free range, pasture raised hens and buy eggs from that person. 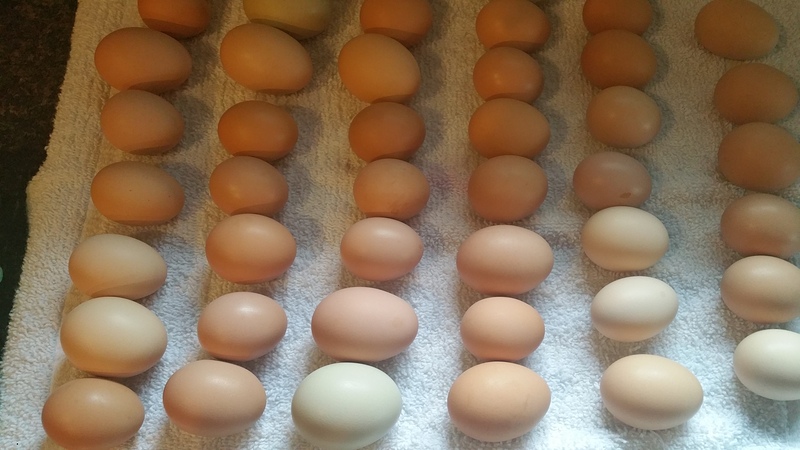 If you’re local, we can provide you with farm fresh eggs for $2/dozen. Email me at strivingacres@gmail.com to arrange pick up. Either way, if you eat fresh eggs from free range hens, your body will thank you! ← Smart car mileage – WOW!!! WOW!!! WOW!! !